We're excited to offer beginner's clinics at another local library. 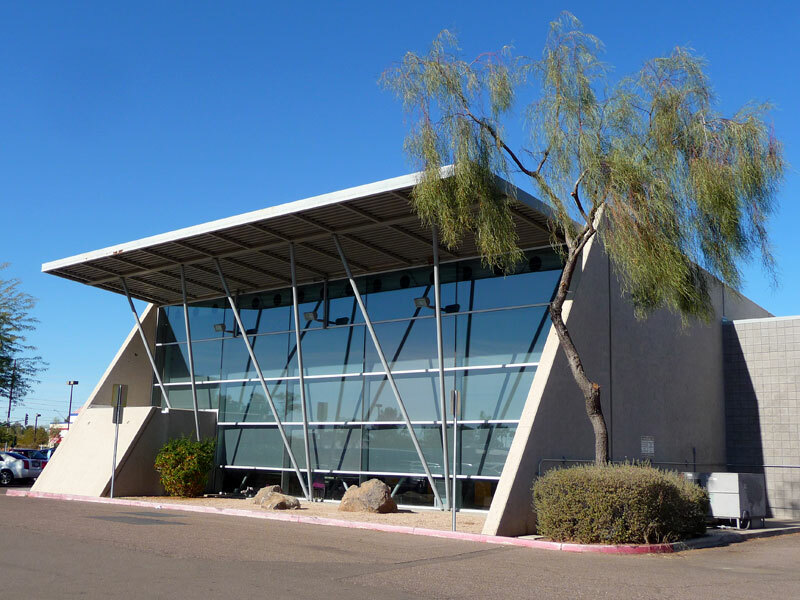 Along with our friends at the Junier Library in Phoenix, we will periodically offer classroom training in one of the conference rooms in the library. While classroom training is not nearly as good as practicing your navigation skills outdoors, our free clinics are a good introduction to orienteering concepts. 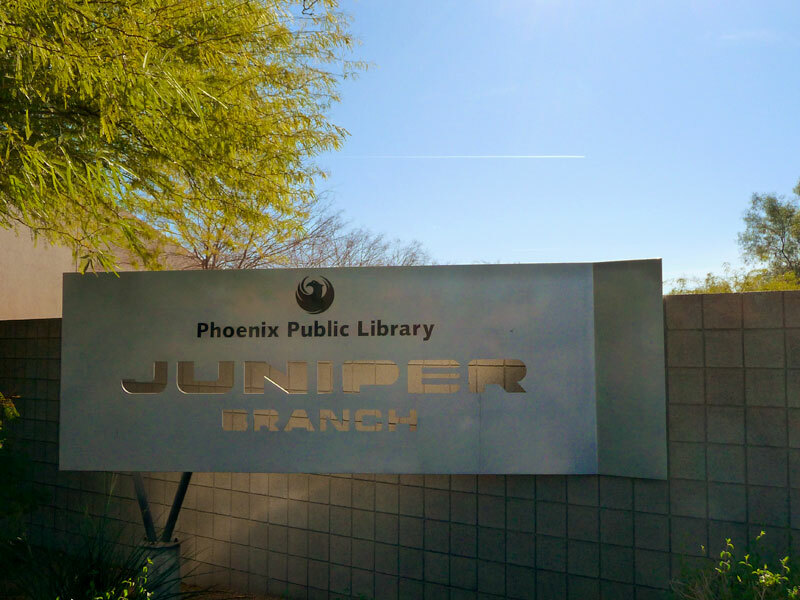 We hope you'll join us at the Juniper Library and at one of our outdoor events in the Phoenix area. 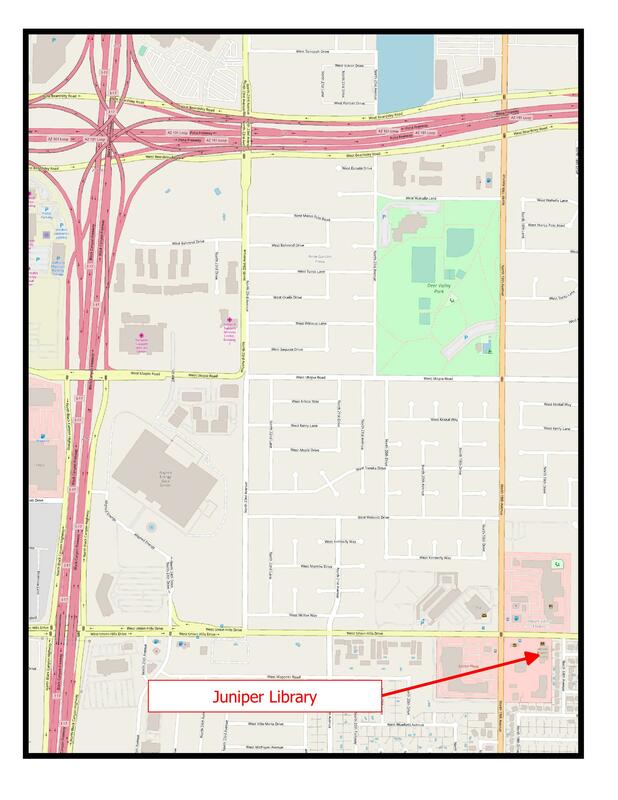 The Juniper Library is located on the south side of Union Hills Drive just east of the intersection of 19th Avenue and Union Hills Drive in North Phoenix. I-17 to Union Hills Drive, Union Hills Drive east to 19th Avenue. AZ 101 to 19th Avenue, south on 19th Avenue to Union Hills Drive. From 19th Avenue and Union Hills Drive, travel east approximately 0.1 miles to the entrance to the Juniper Library on the south side of Union Hills Drive.